A queue for Posh season tickets. 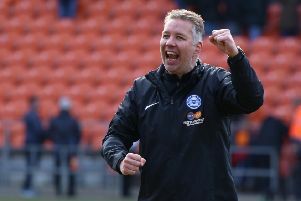 The first discount period for Peterborough United season tickets for the 2019-20 season ends on Sunday (March 31). Posh have been selling season tickets at last year’s prices, but that ends this weekend. From April 1 there is a £20 increase on most season tickets in all age groups and in any area of the ground. There is a final price rise from May 1. Current season ticket holders will have their seats held until midnight on April 30. A reminder that under 12s get a free season ticket if an adult/senior/under 22 season tiocket is purchased at the same time. Season tickets are on sale now from www.theposhtickets.com, in person at the ABAX Stadium Box Office or by phone to 01733 865764.